Camp Kupugani is a multicultural summer camp for girls, ages 7-15, located near Chicago, Illinois. At camp, kids from different countries, states, and backgrounds learn about leadership skills, self-confidence, empowerment, self-image, and conflict resolution, all while making friends and having fun! Our girls summer camp sessions have a carefully considered curriculum and professional, trained counselors to help our campers have a fantastic experience. We exist for girls as they are…so they imagine the women they can become. To provide an individualized, empowering experience for each camper, our enrollment is limited. To ensure a camp spot for your girl, act now! We empower campers and have fun while doing it! Campers of varied backgrounds live, play, and work together–the best teachers of instilling bonds of friendship and trust. We provide a safe atmosphere where they celebrate and appreciate themselves while celebrating and appreciating others. We give them the tools to maximize their potential. At Camp Kupugani, campers have fun while changing their world. Our residential multicultural summer camp experience allows girls to have fun changing their world. Enjoying a well-rounded approach to program and activities, campers have fun learning and expanding interests in a variety of activities. Campers enjoy making their own choices from a variety of land, water, and adventure activities giving them the chance to have fun while developing new and exciting skills. Safety is always a top priority. We offer a supportive environment where campers can challenge themselves and try many new activities. While having fun with activities, campers learn to live with others, challenge themselves and each other, and spend time with caring counselors. Are You and Your Child Ready for Camp? 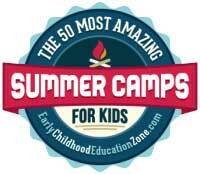 We’ve come up with two fun quizzes for you to see if you and your child are ready for camp. Click here to take the parent quiz to see if you’re ready to send your child to camp, and click here to take the child quiz to see if your child is ready to go to camp. To receive information by mail, or for any questions at all, please either submit our online Request More Information form, call us at 815-713-4110, or e-mail kevin@campkupugani.com!